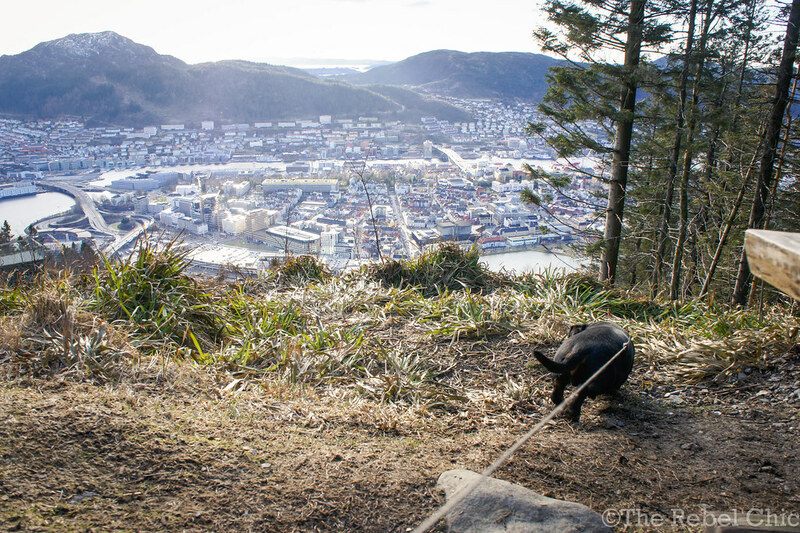 Zorro and I hiked Fløyen yesterday. This was not our first time together at Fløyen. We were there around 2 years ago. This time we did not take the funicular to the top. We hiked. The path is not hard to find, it is just on the left side of the entrance. 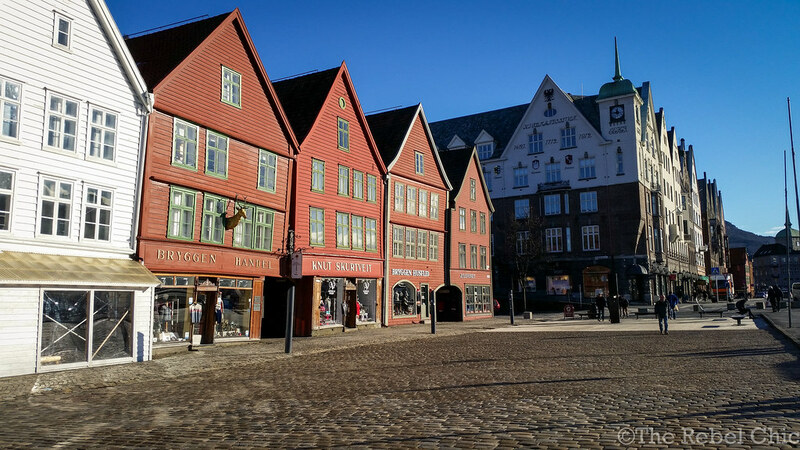 We left the flat at 12 noon, then took the bus to the city center. I felt pity for Zorro because he does not like taking the bus. He was nervous and shaking and just wanted to go off the bus every time it stopped. I am sure that he had a long day in the bus rides. We went off at “Torget”. 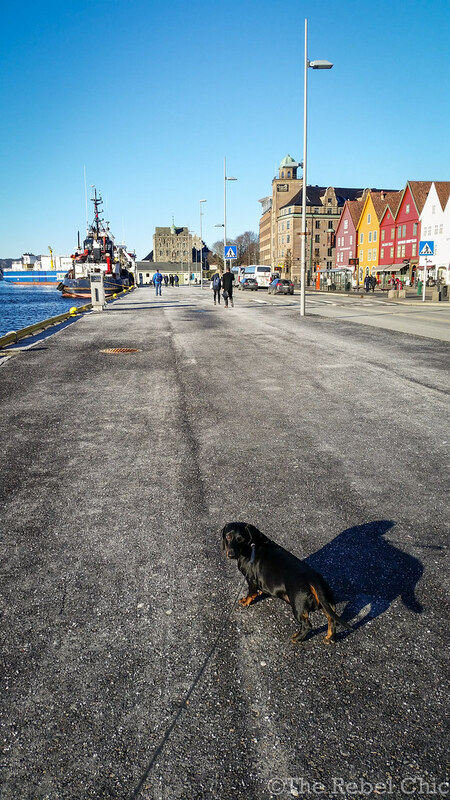 I walked Zorro along the pier to relax his nerves after the horrifying bus ride. He seemed very excited and happy to once again explore Bergen center! 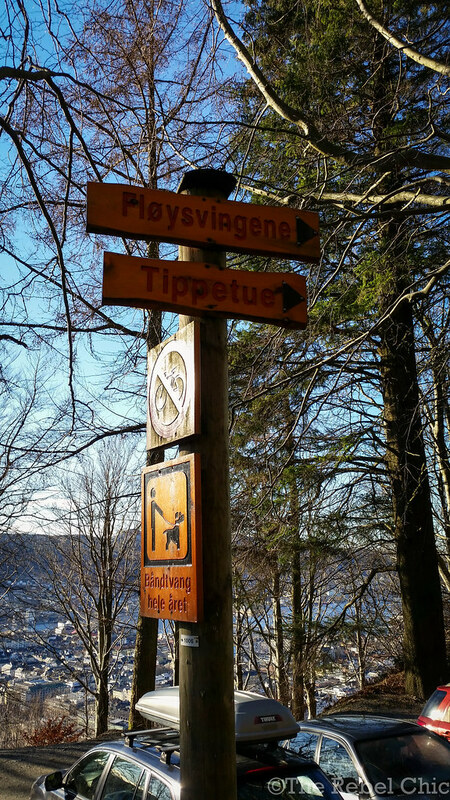 Then after 10 minutes of walking we started going up to the path to Fløyen. The path is very easy to hike. It is baby and toddler friendly. Anyone can go up there with trolleys. Even old people can go up too. All you only need is the will to reach the top. 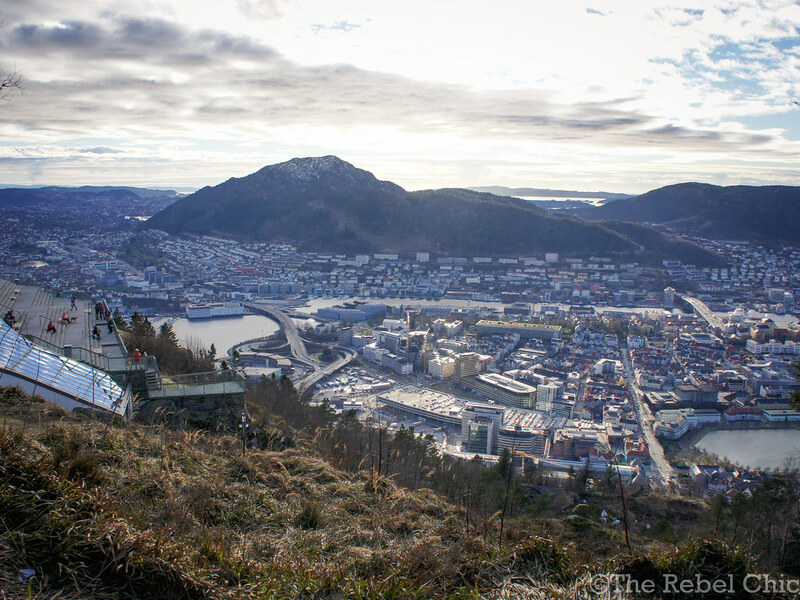 Unlike the funicular, hiking to Fløyen takes around 35-40 minutes. But in my case, it took me an hour to get there because of Zorro. You see he has tiny legs and he is kind a heavy for his size, so we just walked nice and slow. On the brighter side, we met some awesome dogs too on the way and we got to enjoy the view as we get higher and higher. The hike was a bit exhausting. 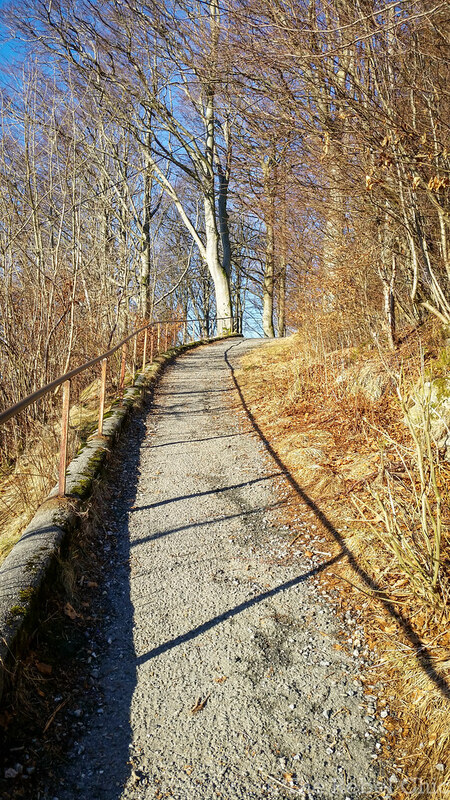 But I prefer hiking to taking the funicular because there are more to see and the feeling of reaching the top after the struggle is just superb. Reading signs is an important part of any hikes/trips. 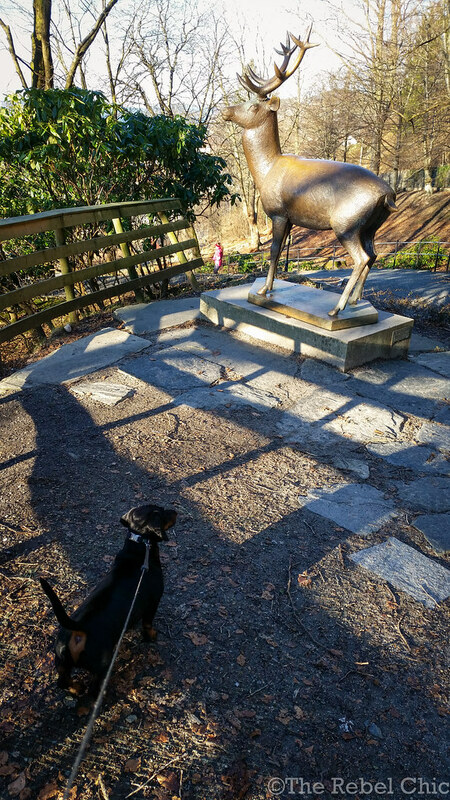 Sniffing from this height and view must be extra good for Zorro. 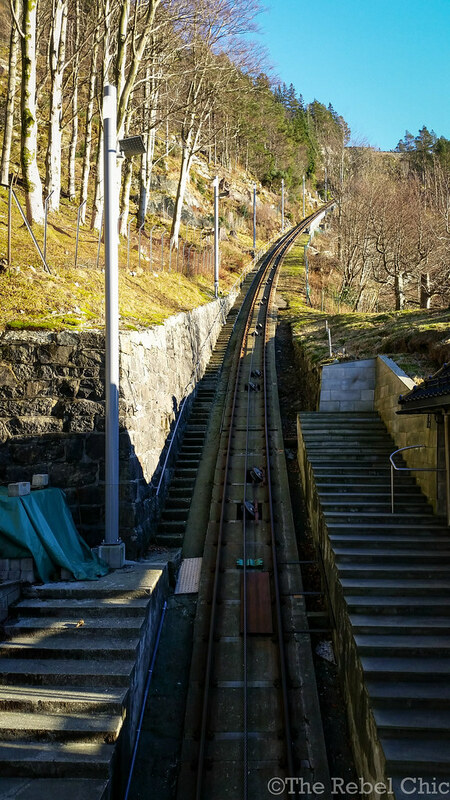 The views from the top must be so worth the hike, but I was too lazy and took the funicular! I wanted to take the trail down, but was so worried I’d get lost on my own! One day I’ll do it! so beautiful and Zorro reminds me of my Nikko! What an awesome view from up there!